D. Bhar's Special Chinir Narkel Naru an exclusive product to Bong Haat. 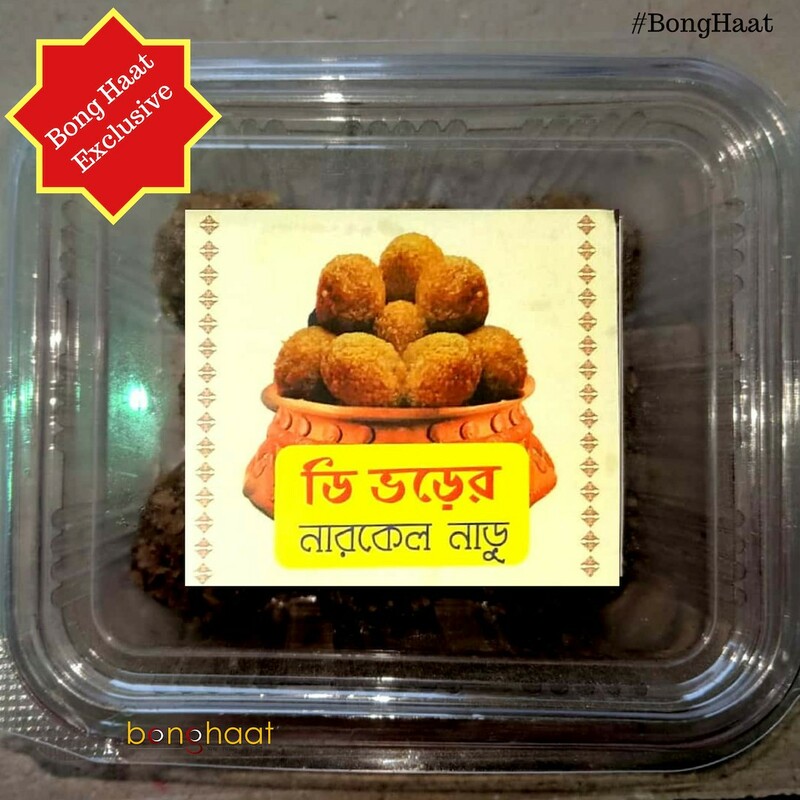 The name D Bhar, 75-year-old manufacturing house of iconic Indian product, Palm Candy (Tal Misri), does not need an introduction as the brand has been selling the most famous Dulal Chandra Bhar Tal Misri (Palm Candy) since decades in India and abroad. This Special Chinir Narkel Naru is handmade from rich ingredients like Sugar, Coconut, Milkmaid, Cashew, Raisin, Cardamom, by women from rural Bengal. 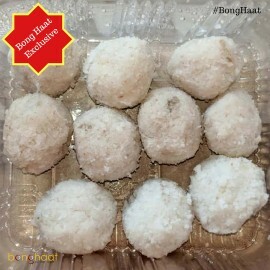 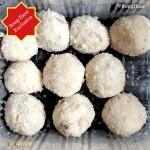 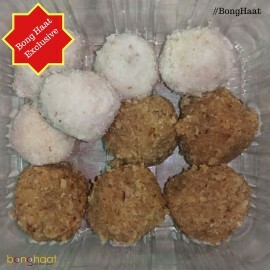 This Special Chinir Narkel Naru (Coconut Laddoos) is certain to take you down the lanes of nostalgia. Every care is taken while making these Narkel Naru and packed in food graded packets. 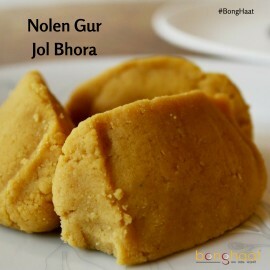 So enjoy your Bengali lifestyles wherever you live.